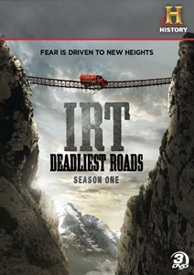 Review: On this season of Ice Road Truckers we follow 3 of the best drivers (Rick Yemm, Lisa Kelly, and Alex Debogorski) from the past IRT season, but this time around things are a bit different and instead of an ice road they will be traveling on the dangerous road of India hauling a variety of freight from one place to the next. During the previous seasons of IRT I thought there was alot of tense moments, but those moments are nothing compared to the stuff that they go through on this series! 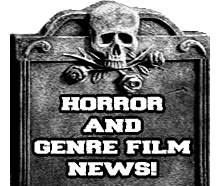 Especially on this one episode where they have to haul a statue of Kali and do it without even making a crack on it and of course it is secured in there in a very primitive way and just helps add to the tension of the episode. I hate to compare the 2 shows but if I had to pick to watch IRT or IRT Deadliest Roads, I would pick IRT Deadliest Roads hands down. Now even though it does seem like it would feel repetitive because they travel alot of the same roads they still keep it fresh by making them haul things like the Kali statue and just in general the crazy drivers they encounter along the way.Before I saw this show I already watched at show about those roads before so I knew what they were in for before viewing this one. As far as the look f the picture goes on this blu-ray set I can definitely say that it look awesome like usual, but if you don't have a blu-ray player I think you will still get just as good of an experience watching it on DVD. The picture wouldn't be as good, but for a show like this it's not a something you absolutely need to enjoy it like you would with a film or a show like "The Universe". Overall this is a great show that I would recommend to anyone who likes IRT and was curious if this series of IRT would be any good. Approx. Time Length: 7 Hrs. 30 Mins.